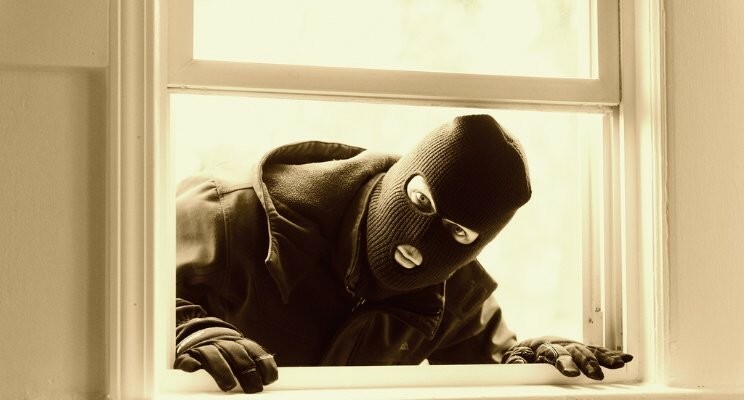 Neighborhood Watch, Block Watch, Town Watch, Building Watch, Crime Watch – whatever the name, its one of the most effective and least costly ways to prevent crime and reduce fear. Neighborhood Watch fights the isolation that crime both creates and feeds upon. It forges bonds among area residents, helps reduce burglaries and robberies, and improves relations between police and the communities they serve. Today’s transient society produces communities that are less personal. Many families have two working parents and children involved in many activities that keep them away from home. An empty house in a neighborhood where none of the neighbors know the owner is a primary target for burglary. Organize a small planning committee of neighbors to discuss needs, the level of interest, and the possible community problems. Contact the local police or sheriff’s department, or local crime prevention organization, for help in training members in home security and reporting skills and for information on local crime patterns. Hold an initial meeting to gauge neighbors’ interest; establish the purpose of the program; and begin to identify issues that need to be addressed. Ask for block captain volunteers who are responsible for relaying information to the members. Recruit members, keeping up-to-date information on new residents and making special efforts to involve the elderly, working parents, and young people. Work with local government or law enforcement to put up Neighborhood Watch signs, usually after at least 50 percent of all households are enrolled. I LIVE IN AN APARTMENT BUILDING. CAN I START A NEIGHBORHOOD WATCH? Yes. Watch Groups can be formed around any geographical unit: a block, apartment building, townhouse complex, park, business area, public housing complex, office building, or marina. A Neighborhood Watch is neighbors helping neighbors. They are extra eyes and ears for reporting crime and helping neighbors. Members meet their neighbors, learn how to make their homes more secure, watch out for each other and the neighborhood, and report activity that raises their suspicions to the police or sheriff’s office. Community meetings. These should be set up on a regular basis such as bi-monthly, monthly, or six times a year. Citizens’ or community patrol. A citizens’ patrol is made up of volunteers who walk or drive through the community and alert police to crime and questionable activities. Not all Neighborhood Watches need a citizens’ patrol. Communications. These can be a simple as a weekly flier posted on community announcement boards to a newsletter that updates neighbors on the progress of the program to a neighborhood electronic bulletin board. Special events. These are crucial to keep the program going and growing. Host talks or seminars that focus on current issues such as hate or bias-motivated violence, crime in schools, teenage alcohol and other drug abuse or domestic violence. Adopt a park or school playground and paint over graffiti. Sponsor a block party, holiday dinner, or volleyball or softball game that will provide neighbors a chance to get to know each other. Report suspicious activities and crimes to the police or sheriffs' department. Cars, van, or trucks moving slowly with no apparent destination or without lights. Report these incidents to the police or sheriffs' department. Talk about concerns and problems with your neighbors. Describe the vehicle if one was involved: color; make, model, year, license plate, and special features such as stickers. Thanks to the New York State Police for their contributions to this article. If you are seeking a keynote speaker on preparing and responding to "Active Shooters," contact us today.